(CNS): In her first own motion report the Complaints Commissioner will be tackling problems at the National Pensions Office. Nicola Williams announced the launch on Thursday of an investigation by her office into the ability of the NPO to effectively investigate, charge and convict companies who are non-compliant with pension contributions as mandated under the law. Williams said that initial investigations had revealed that as many as 670 employers are delinquent in their pension obligations but have taken the money from their employees. She said that this issue mostly impacted poorer people in the community and an independent investigation was in the public interest so that an understanding of the government’s practices can be made clear and actions required, if necessary, to better facilitate the management of this process. She indicated that it was not a matter of a particular employer or individual case that had led her to believe the investigation needed to be undertaken, but considerable evidence from various sources pointing to a large number of offending employers. “I am aware of some 670 companies that are not complying,” the complaints commissioner revealed, adding that she was surprised by the number. There were approximately 4,075 valid trade and business licenses in Cayman at the end of 2008. However, many business owners hold multiple licenses which indicates that a very significant percentage of employers are not complying with the pensions law. 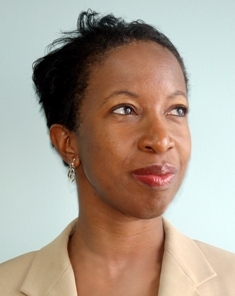 Although the Legislative Assembly has rarely responded to any of the OCC’s reports in the past, Williams said she hoped that this would be the one that would see politicians spurred in to action over the very real problem faced by the Cayman Islands work force. “We would hope the Legislative Assembly will pay attention to the report as what we uncover is likely to be of such importance, affecting so many people there will be no choice but to act,” she said, adding that, as with all ombudsmen, she had no powers of coercion merely the power to issue recommendations. 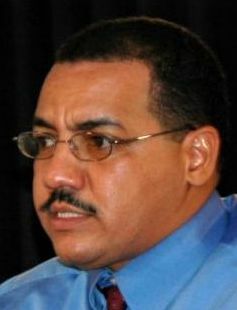 “To date, myself and my team have experienced full cooperation from the NPO and it is likely that the report will be ready on or before the end of May 2010,” Williams said, adding that the team will conduct interviews with affected parties and review ministry documentation relevant to the subject. The OCC’s investigation comes at a time when the future of the NPO as the supervisory body for the pension’s office is in already in question with speculation mounting that the Department of Labour in partnership with CIMA could be taking on the supervisory role. The mandatory obligation for employers to pay pensions for work permit holders could also be removed in the near future. The idea was first raised in the Legislative Assembly by the Premier when he announced the increase in work permit fees for the 2009/10 budget. Minister with responsibility for labour, Rolston Anglin, told CNS last week that his office is looking into preparing proposed legislative changes to the current Pensions Law to bring to the Legislative Assembly at the next sitting, which is expected to resume at the end of February. Williams stated that if government introduces any changes during the course of the investigation then they will be taken into account but she was focusing on appears to be the inaction against non-compliant employers who owe money to their staff. Anyone with information relevant to the investigation may call the Complaints Commissioner’s Office at 943-2220. 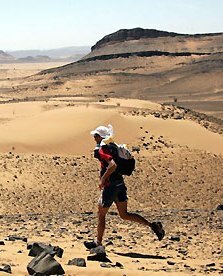 (CNS): While organizers are willing to concede that the Cayman Islands looks nothing like the southern Moroccon desert, the introduction of the islands own ‘ultra-distance race’ will, they say, make runners prettysweaty if not quite as worn out as competitors in the Marathon des Sables. And, yes, this “one of a kind” trail run is only fifty kilometres, as opposed to 254, but it’s still a long race and it’s still in the sun. On Sunday, 28 February, the first “Off the Beaten Track” will see individuals and relay teams line-up in a fun attempt to mimic the world’s most gruelling ultra-distance race run every year in Morocco on a mystery course. The event is being jointly organized by Krys & Associates, a local insolvency and forensic accounting firm, and local attorneys Stuarts, with proceeds going toward a very worthy cause. Facing Africa is an organization that sends teams of surgeons and medical supplies to Sub-Saharan Africa to battle a devastating disease called Noma, which is causing deformities of the face in young children, the poverty stricken and the malnourished. Krys & Associates’ CEO, Ken Krys, became involved with this charity after entering the famed Marathon des Sables himself last year. “There are a great many runners here in Cayman, and I urge all of them to come out and support this unique event. The team aspect allows runners of all levels to participate, while experienced marathoners can choose to run the event individually,”he said. Many of Cayman’s most financial and professional services firms are signing up to enter teams for the country’s first ultra-marathon and individuals are also welcome to enter. This letter is in response to an Editorial which appeared in the January 27th edition of The Caymanian Compass. The Editor referred to comments made by “one radio talk show host” in an editorial entitled “Media Relations 101”. Let me confirm that I was that host and I take full responsibility for the opinion expressed. My comments simply were, though said in a broader context, “I could understand the logic behind both sides of the argument either for or against control of the media.” Before I begin, let me first concede that Censorship in any form represents a slippery slope and therefore any such action should never be entered into lightly. I also accept the editorial’s opinions coming from a standpoint of opposing censorship of the media. I, on the other hand, believe there is likewise room to support media censorship in certain circumstances, and I will attempt to qualify my previous remarks herein. Oliver Wendell Holmes, who was the Supreme Court Justice at the turn of the century, argued in the 1919 United States Supreme Court case Schenck v. United States that “Freedom of Speech does not permit an individual to yell, ‘FIRE!’ in a crowded theatre, causing panic.” He argued that while Truthful, this statement is also Dangerous. I believe the same is true about sensational news headlines. Headlines which are designed to grab our attention or sell papers may be considered what Holmes described as being a “clear and present danger”, which Government has the right to prevent. Most recently, the Commissioner of Police, David Baines, commented that he believed sensational news headlines have led to the belief that crime is worse than it really is. There is, in my opinion, some truth in that. It is my opinion that in any well run society a degree of control must be applied, especially if that society has a small, fragile economy or an economy which is largely built on public perception. As unpopular as the actions of then Leader of Government Business, now Premier, were following Hurricane Ivan, to restrict media access in order to protect our tourism business, I can understand the dilemma that faced the Leader and the impetus behind his ultimate decision, given the income the islands derive from this sector. One future visitor who changes their vacation plans can just as easily turn into thousands or hundreds of thousands who change their plans. Imagine what the absence of that Income would do to our currently fragile economy! Similarly, following Tuesday’s earthquake, if the Premier’s comments, which were made when he called the programme, inferred a similar action for similar reasons, I saw those fears as being well founded. The spoken or printed word is a funny thing. Once uttered, it is difficult to take back. When larger issues such as the life of our national economy are at stake, greater care and attention needs to be given to the information that is disseminated, otherwise it can, as Holmes argued, represent a clear and present danger, and must, out of necessity, be suppressed. (CNS): Following the recent comments by the auditor general about the importance of preserving the independence of the office, the premier has said if it was up to him Dan Duguay would have already gone as he does not know how to do his job and has made too many mistakes. Speaking on Radio Cayman himself, McKeeva Bush said that the auditor general should not be “blabbing on radio shows” and he is just an accountant who has got a big mouth. Responding to the criticisms by the premier, Duguay told CNS that he believed it may be because he and his team at the AG’s office do their jobs very well. In a strong condemnation of Duguay, Bush said that the politicians had nothing to do with his independence or his job because if they did he, as premier, would choose a better person. Appearing on Radio Cayman’s lunch time show, Talk Today, on Wednesday, Bush said that the AG’s recent comments about extending the length of the position’s contract so that future auditor generals could not be beholden to political influence were wrong. Responding to the premier’s condemnation of him, Duguay said that he believed it came as a result of him just doing his job properly. “I think if you are doing this job well, you will upset some people and clearly I have upset some people,” he said, echoing the comments made by the governor, Duncan Taylor, when he was asked about the AG’s role at his first press briefing. Taylor had said he expected that the person in that office should be irritating everyone. This is not the first time that the premier has attacked the AG, but when Bush referred to him as a cowboy a few months ago, Duguay remained silent. This time, however, he observed that the comments came at an unfortunate time. “It is unfortunate that when the role has come up for competition and I am one of the candidates, that Mr Bush has made his thoughts so publicly known,” Duguay noted. While appearing on his radio show, the premier told Ebanks that he believed the AG was looking for a fight and he should not be getting on the radio. Bush also accused Duguay of damaging good people’s lives. Referring to the Royal Watler Report, he said Duguay would not correct the report when he was wrong about government losing money. “You cannot say that government lost something on a building for 9,000 square feet when the whole building process was over 18,000 square feet and when they had built an acre of land which is valued over what he says was lost. Yet he wouldn’t correct it and they talk about that being professional … I think the deputy governor is right in dealing with him,” Bush added. Duguay, however, said that the premier was wrong when he made much of the fact that the Royal Watler Report was not changed as, the AG noted, the later changes in the project did not alter the original observations made by his office during the audit. Nevertheless, Bush said the AG had abused his position and was looking for glamour. As a result of that abuse by Duguay, he said the AG reports should not be made public until the people involved and those concerned got a chance to look at them so the people would see both sides when it goes to the public. Previously, when the reports were held back until they had been assessed, the reports ended up languishing behind closed doors as a result of the public accounts committee (PAC) not getting around to making their reports. For example, the CUC report published by the previous auditor general in 2003 was not released into the public domain until the middle of 2009, six years after the work was undertaken. The premier insisted that previous auditor generals had done their jobs properly and there was nothing wrong with the independence of the office. The AG had made his original comments about the position’s period of service at the CBO conference last Thursday when he took part in a panel debate. He noted that the current contract in the Cayman Islands for an auditor general is three years and his had been renewed once. He was recently told that he would have to compete for the next contract if he wanted to continue in the post. Duguay pointed out that in some jurisdictions the AG’s role is appointed for life to ensure there can never be political interference, as he observed that anyone in such a role who was afraid their job would be taken from them would be less likely to tackle the difficult issues that come with the position. He suggested that Cayman should think about extending the contract to five years with an opportunity for one renewal, which offers more stability and surety to the post and would protect any future holders from undue influence. Vote in the CNS online poll: Is Dan Duguay doing a good job as auditor general? (CNS): Admitting that he has no artistic talent of his own, the Cayman Islands new governor, Duncan Taylor, has said he is really excited about this weekend’s art event, which will be taking place on his new front yard, as he and his wife are keen collectors. Taylor said that over the years they have built up an eclectic mix of work acquired during their various postings, from Cuba to Hungary. “I am really looking forward to seeing what will be on show on Saturday at the art@governor’s, and it will be my first opportunity to meet local artists and see what they are doing,” he said. Taylor told CNS that he was encouraged by the enthusiasm surrounding the event and understood that it was an important date in the year. "I am really happy that we are getting to host this so early on,” he said, adding that he felt it was crucial to encourage and support creativity as the arts are an important element of local society. Taylor also said he and his wife were keen to acquire some pieces from the Cayman Islands while he is here to add to their collection. Taylor and his wife Marie-Beatrice will be hosting their first art@governor’s along with the National Gallery this Saturday (30 January) on the grounds in front of Government House. Over 100 artists will be exhibiting and some 2,500 visitors are expected at what is considered the islands’ premier visual arts festival, held annually on the last Saturday of January. The visual art forms will include paintings, ceramics, sculpture and leatherwork, thatch work, body paintings, jewellery, quilts, photography and handicrafts. 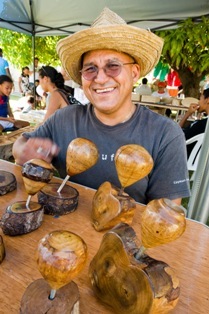 Organisers said that this year for the first time the event is spilling across the road to Governors Square, enabling the gallery to house more artists and exhibits then ever before. Art demonstrations, displays and activities will be enjoyed between both areas, and Governors Square will be hosting commercial sales for the first time. This year’s theme is “Conserving Cayman’s Oceans”, which explains the creation of giant paper mache sea creature by Walkers Art Club; an underwater mural at the National Gallery Creation Station; and fun educational activities provided by the Ritz Carlton – Grand Cayman’s Ambassadors of the Environment programme and the Department of the Environment. World renown artist Wyland (www.wyland.com), this year’s International Scuba Diving Hall of Fame inductee, will be on hand to talk about his work as the 2010 ‘Featured Artist’; and Cayman Brac’s own Martin Keeley will direct a performance exploring the mysteries of the ocean centred around a 40-foot shark. There will also be storytelling by Twyla Vargas, pottery making , traditional craft demonstrations, and free catboat rides, courtesy of the Cayman Islands Catboat Club, plus music from Pandemonium Steel Band and One World Entertainment. The event is free of charge and open to the public from 1:00pm to 5:00pm. Parking is provided courtesy of Regatta and traffic police will be on hand to guide visitors safely between the two locations. For more information, to volunteer, or to reserve a booth, please email Kerri-Anne at intern.ng@candw.ky or call 945 8111. (CNS): The recommencement of work at the two new high schools has signalled new opportunities for local business and jobs for Caymanians, government has vowed. Education Minister Rolston Anglin has said that all the sub-contractors and trades firms that will be working on the sites must employ suitably qualified Caymanians. Announcing the full details of the plans to finish the schools, Anglin said that he wanted to give local people the opportunity to earn a living as well as get the job done. The first group of workers attending to critical jobs returned to the site yesterday, and these will gradually be followed by more local construction workers in the coming weeks. Part of the plan to complete the schools includes providing employment opportunities for local firms with the appointment of a construction management team responsible, amongst other things, for coordinating the activities of the various sub-trades at the sites, and arrangements to advertise the construction management tender are now underway. Anglin explained that government had opted to engage a construction management team to complete the project rather than appoint a new general contractor. “After a detailed review of the pros and cons of the options available, the project team advised that the construction management route was the most appropriate and cost effective,” he said, adding that while the construction works are important, the main objective of the ministry’s work is the improvement of the education system. With what was described as a “comprehensive strategy” to complete the John Gray and Clifton Hunter campus projects now in place, the minister did not offer a timeline as to when the schools will be finished, although it is quite clear they will not be ready for the start of the 2010 new school year in September. He said, however, that he believed the country would welcome the news that work has restarted, and the project team had been working diligently to identify options to complete the schools in the most cost effective and timely fashion. “This has involved detailed, painstaking work to gather the necessary data, to undertake the necessary research and negotiations. There is still work to be done, but we have a sensible plan, and I am pleased that we are now in a position to move forward,” Anglin said. He added that negotiations with the existing sub-contractors in the main sub-trades are still on-going, but was encouraged by the progress. He also announced that the existing project management team would be adding personnel under the consultant project manager, David Benoit, who has been engaged in the negotiations with the main sub-trades. Ministry Chief Officer Mary Rodrigues explained that it was in government’s best interests to continue with the existing sub-contractors where possible to protect the warranties for the work. “The project team has been negotiating with the existing sub-contractors, beginning with the major sub-trades. These include roofing and window installation, exterior wall systems and mechanical, electrical and plumbing (MEP). However, at the same time, it is critical that the government’s interests are protected. Therefore, where necessary, the government will insist that these protections are built into the final agreements,” she added.